Yet another UK Labour Party politician has been suspended after it was revealed he posted virulently anti-Semitic material online, in the latest of a series of anti-Semitism scandals to rock Britain's leading left-wing opposition party. Ilyas Aziz is a Labour councilor in Nottingham, northern England, and is a die-hard supporter of party leader Jeremy Corbyn. While his most recent posts on his Facebook account have concentrated on denying any anti-Semitism within his party, in earlier posts Aziz ironically echoes many of the very hateful messages several fellow Labour members have been suspended for in recent days and weeks. Aziz's Facebook post - published at around the same time as Shah's in 2014 - suggested: "Perhaps it would have been wiser to create Israel in America it's big enough. They could relocate even now." Unsurprisingly given those views, Arutz Sheva found Aziz also is a strong supporter of the extremist Palestine Solidarity Campaign, which has a long history of hosting anti-Semites and homophobes at its events, as well as the anti-Israel BDS boycott movement. Arutz Sheva also found evidence that Aziz had attended an event by the Hamas fundraising charity Interpal, which is also supported by Jeremy Corbyn. In October of 2014 - and again in November - he advertised an Interpal event hosting Islamist Taliban-supporter Yvonne Ridley. The Labour Party took only a few hours to respond to the latest revelations, with a party spokesman announcing his immediate suspension. "Ilyas Aziz has been suspended from the Labour Party pending an investigation," the statement read. 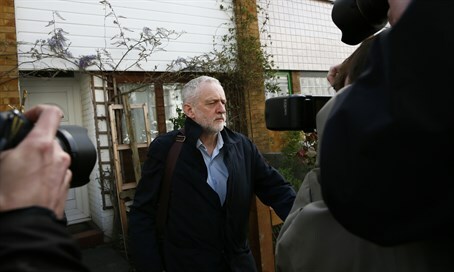 This latest revelation will further up the pressure on embattled leader Jeremy Corbyn to deal with anti-Semitism in his party.